This online Nurse Residency Program focuses on nurses working within long term care (LTC) settings. It explores the nurse’s role in LTC, including the required skills and knowledge base, as well as methods for clinical coaches to use when helping new nurses develop clinical skills and providing feedback. The case-driven format allows for high learner engagement more likely to result in sustained change. Learning resources including articles and handouts is available to learners to reinforce learning and change. This CE activity has been designed to change learner competence and focuses on the Nursing areas of values/ethics for inteprofessional practice, roles/responsibilities interprofessional communication, and teams/teamwork. The 2010 Institute of Medicine Future of Nursing Report suggests that action be taken to support nurses' completion of a transition to practice program, such as nurse residency programs. This should happen after completion of a degree program or when nurses transition to a new clinical practice area. Yet, nurse residencies are almost non-existent in long term care (LTC) settings. Providing a Nurse Residency program can increase the skills and knowledge of nurses new to practice or new to LTC and reduce staff turnover that can impact residents’ outcomes. Turnover is higher when nurses do not feel supported by their organization and do not feel they are able to provide high quality care. Providing professional development, specifically in gerontological nursing, and by providing a better orientation to the work environment can positively impact turnover. Increasing coaching/mentoring capacity of nurses serving as clinical coaches can help them to support new nurses as they transition into their roles in LTC settings. This CE (continuing education) activity is part of Geri-Res: A Long Term Care RN Residency Program and is intended for nurses new to practice or new to LTC settings, and their clinical coaches. RN Residents will describe the role of the nurse in long term care, including required skills and knowledge base to effectively care for older adults in nursing homes. Clinical Coaches will list a variety of effective methods for helping RN Residents develop clinical competence and cite methods for providing effective feedback to RN Residents. It is the policy of the University of Wisconsin–Madison Interprofessional Continuing Education Partnership (ICEP) that the faculty, authors, planners, and other persons who may influence content of this continuing education (CE) activity disclose all relevant financial relationships with commercial interests* in order to allow CE staff to identify and resolve any potential conflicts of interest. Faculty must also disclose any planned discussion of unlabeled/unapproved uses of drugs or devices during their presentation. For this educational activity all conflicts of interest have been resolved and detailed disclosures are listed below. *The ACCME defines a commercial interest as any entity producing, marketing, re‐selling, or distributing health care goods or services consumed by, or used on, patients. The ACCME, ACPE, and ANCC does not consider providers of clinical service directly to patients to be commercial interests. 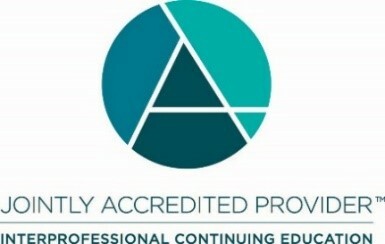 In support of improving patient care, the University of Wisconsin–Madison Interprofessional Continuing Education Partnership (ICEP) is jointly accredited by the Accreditation Council for Continuing Medical Education (ACCME), the Accreditation Council for Pharmacy Education (ACPE), and the American Nurses Credentialing Center (ANCC), to provide continuing education for the healthcare team. The University of Wisconsin–Madison ICEP designates this enduring activity for a maximum of 5.00 ANCC and Iowa contact hours for the Clinical Coach modules. The University of Wisconsin–Madison ICEP, as a member of the University Professional & Continuing Education Association (UPCEA), authorizes the Clinical Coach modules for 0.50 continuing education units (CEUs) or 5.00 hours.